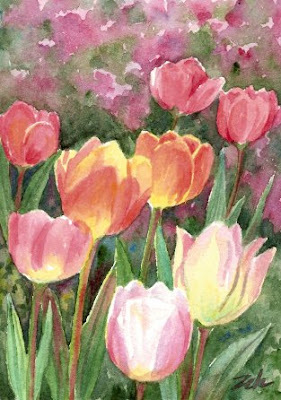 Tulips mean spring. We just had a big snowstorm, but it's March and spring is almost here. I love the sunlit quality of this scene. It was a delight to paint!